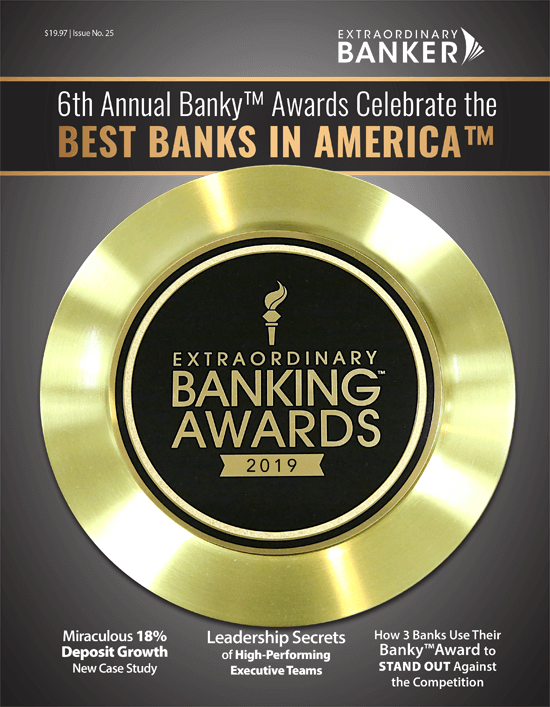 The Institute for Extraordinary Banking™ has had the advantage of reviewing hundreds of bank strategic plans over the last 26 years. In each issue, we’ve culled through all of the best practices we’ve discovered…the essential pieces that we know exist and are vital to the strategic plans of the top community banks. 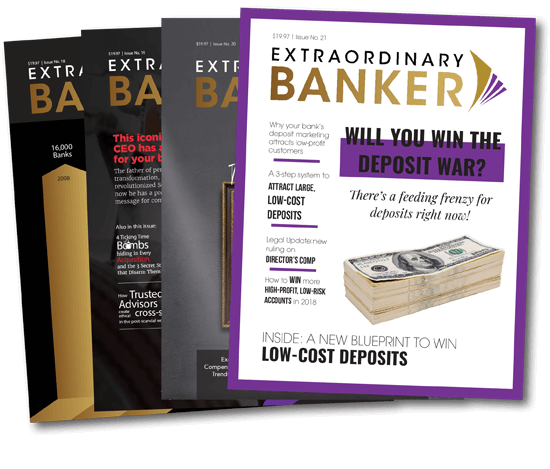 Get the Extraordinary Banker® quarterly magazine delivered FREE to your home or office. This magazine is for bankers who KNOW that there is always room for thinking smarter, executing better, and rewriting the rules. We’ve moved from 3.3 services per household to 4.3 in 30 months. Loan growth was up $100 million in less than five months during the heart of a recession while we improved loan quality. Return on equity increased from 7.18% to 10.44% in a year. Net interest margin increased from 3.63% to 3.95% in a year with two major building projects factored in. The system works and we follow the system. Our quarterly magazine reaches 15,000 Bank executives, Presidents, CEO’s and top leaders in the field. Want to promote a product or service that serves our industry? 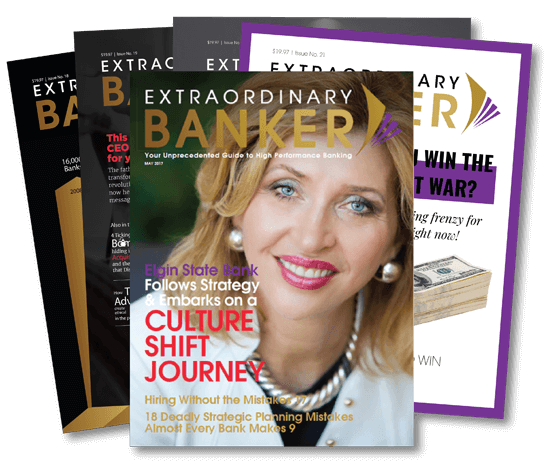 Enter your information below to receive Extraordinary Banker® magazine by mail.